This has got to be one of the most f*cked up books I have ever read. That's not to say it isn't excellent - it is - but it really pushes the boundaries of the nature/nurture debate. Kevin is born to a mother who doesn't want him - she resents him for ruining her relationship with her husband and disturbing her life as she knows it. Conversely, his father is completely besotted with him and would do anything for him. Most 'normal' children would thrive on this, but not Kevin. He resents his father for being an all-American dad; seeing him as a cliche, weak and embarrassing. Kevin goes to do to terrible things - not only the events of 'Thursday' which are discussed throughout the whole book - but other awful acts which make us think, can someone be born evil? The debate centres around whether Kevin's actions were a result of his mother's love (0r lack of it), or whether he is well and truly evil. I have to admit I loved this book. It took me a while to get into - it's written as a series of letters from his mother Eva to his father Franklin - but the series of events and inevitable outcome keep you hooked throughout. There's a pretty shocking twist right at the end, which I was able to guess only a couple of pages before it happened. Personally, I felt very little sympathy for Kevin. The nature of some of his actions and crimes just make me think he is well and truly different from any other child - no matter how little his mother may have loved him. Like One Day they've made a film out of this which is out on DVD in the UK now, which I watched last weekend. Although Tilda Swinton and Ezra Miller give great performances of Eva and Kevin, I wasn't massively impressed with the film itself. The book is solid - it's pretty long and full of anecdotes, description and the thoughts of Eva. I felt the film didn't really get these across, but how much can you in the time frame? I think I would have been pretty confused and disappointed if I hadn't read the book, as although it is shot/filmed as it is read in the book, this isn't necessarily always logical. It was good to see the film adaptation, but it is nothing compared to the book. 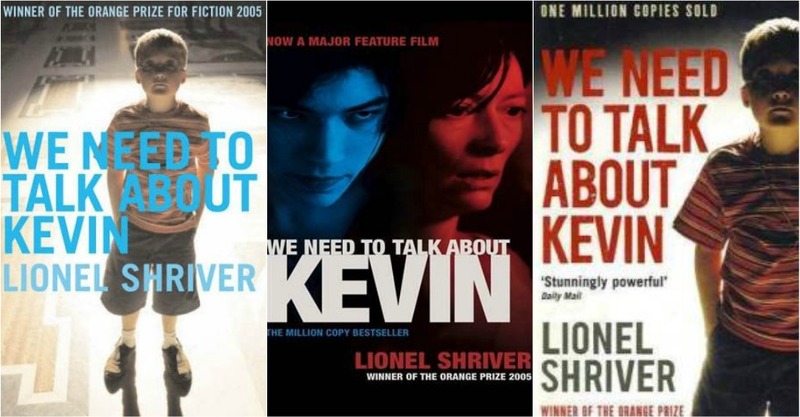 Have you read We Need To Talk About Kevin? What do you think? Were you able to feel any sympathy for Kevin? Not read the book, even though i've had it for a while, i've vowed to read it before seeing the film! It has been in my reading pile for ages, but last summer I tried to get into it. I like to have a little break from books that don't entice me as much as I'd like so I'm going to get back into it soon! Sounds good though!